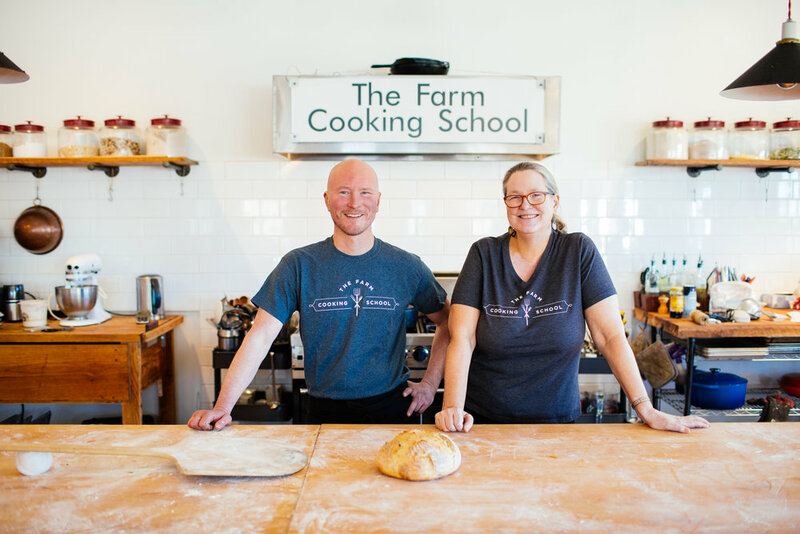 Ian Knauer founded The Farm Cooking School as a space where cooks of all levels can come together to learn about and enjoy great food and real community. Not long after Ian founded the school, Shelley Wiseman came on board to create a fabulous culinary partnership! The Farm Cooking School is located in the heart of the Delaware River Valley. This beautiful property is also home to Roots to River organic farm and the Barn at Gravity Hill. Roots to River's main fields are located on a 60 acre farm in the heart of Solebury Township Pennsylvania. In both locations, they grow high quality produce, specializing in heirloom varieties and year-round production for farmer's markets, restaurants and a community supported agriculture program. Roots to River supplies the school with a majority of its fresh produce, flowers, and herbs, some of which are picked by students right before classes! The partnership between the farm and the school provides a model for what truly local and seasonal eating looks like where the farmer is deeply connected to the people they are feeding. Learn More about Roots to River Farm! 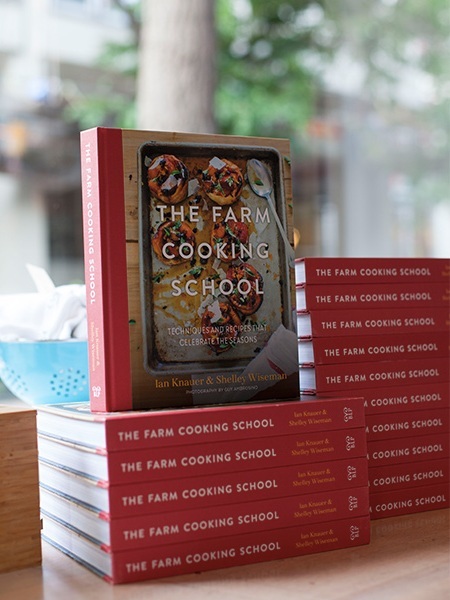 We wrote a cookbook called The Farm Cooking School: Techniques & Recipes That Celebrate The Seasons - and you should own a copy (or two)! Following the curriculum we teach our students in class and highlighting some of our favorite dishes, our cookbook has been well received by critics and foodies alike. Additionally, we are taking what we love to do - cooking and building community - on the road this year. We have been touring the tristate area bringing The Farm to New York City, Philadelphia, local bookstores, indie movie theaters, and other cooking schools. We look forward to seeing you soon! What folks are saying about the book! The Farm Cooking School IS a space where cooks of all levels can come together to learn about and enjoy great food and real community. Join us for a class, a series, a farm to table dinner....and so much more!